Insurance for Arborists - Ballwin MO & Ellisville MO - Redel Insurance Agency, Inc. Call Redel Insurance Agency, Inc.
Redel Insurance Agency, Inc. provides insurance to arborists in Ballwin, Ellisville, Chesterfield, St. Charles, Eureka, Wildwood, and surrounding areas. With such an array of potential stresses that come with being an arborist, the assurance that your business is properly covered should not be one of them. Call Redel Insurance Agency, Inc. today to find the right protection plan for your business. Thank you all, you guys have been wonderful over the years. Looking forward to many more years of coverage! Lora Ruck feels more like a friend than an insurance agent. Unfortunately we have had to make a few claims over the years on our home and auto and she has always been there. Days, nights, weekends it doesn't matter she has always been there when we needed her. She does an amazing job of explaining things thoroughly and in terms we can understand. She really goes above and beyond what is expected of her. When we have been going through some pretty awful times she has not only made sure that things got done but also been extremely kind and compassionate. We feel lucky she is our agent. We have and will continue to recommend her to anyone! Thank you Aimee! What would we do without Redel Insurance Agency and our best’es most favorite helper there. (Roger will be jealous) Tell Roger it’s his fault that he keeps hiring such professional people as YOU! Great experience yesterday. I had a rock chip my new car windshield and within 1 hr the problem solved thanks to Lora Ruck and Spencer Glass. It was a bad situation made good. Keep up the good service. This has not been may only good experience. I feel Lora has a great way of communicating what insurance her client needs and explains why you need the coverage. Many years of feeling confident that I have the right insurance. Thank you. Your company has always responded to my needs quickly and accurately. Thanks!! Lora, Just wanted to thank you for all your help due to my accident on October 25th. With your insurance insight, I feel your advice on my insurance needs were right on! I could not ask for a better agent!! Last night I was able to pick up the Camry!! She looks great and it was really nice to get ‘her’ back!! Just can't say enough good things about Redel Insurance. My agent Lora Ruck just helped me with an issue in Florida that she did not have to do as she was not making a dime on it but she cleared the problem up by working with a local agent. That's great service. Thanks Lora !! 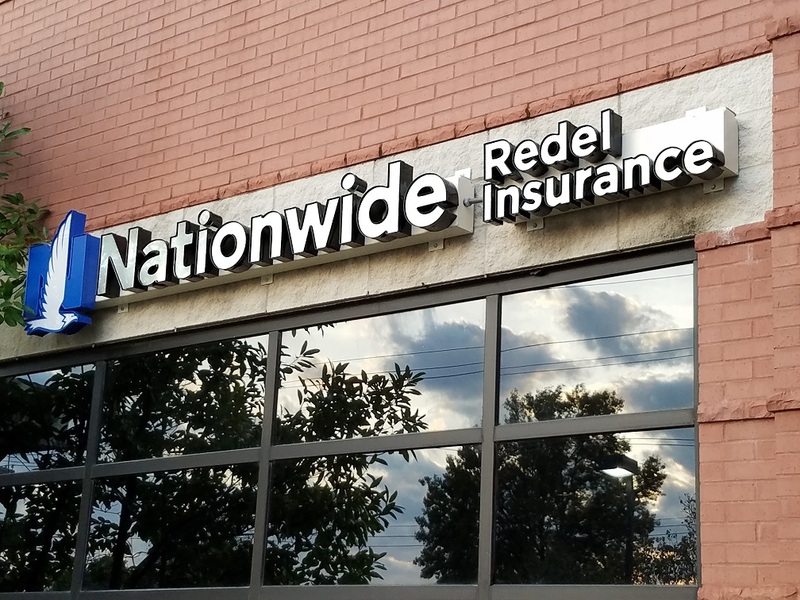 I have my auto and renters insurance through Redel and I cannot say enough positive things about your business. Any time I’ve had a question, it has always been answered on the same day or very soon, thereafter. Everyone has been extremely pleasant and efficient. I don’t know of any other type of business that I have had that has been such a pleasure as dealing with Redel. You guys and gals could start your own ‘business etiquette’ business and change a lot of companies. Dear Roger, Just wanted to let you know how happy I am with the service I have received from you and your agency for the insurance claims I made last year. First a new windshield for my car, then storm damage on my roof and then I wrecked my car. All taken care of by a simple call to you. The settlement were made quickly and what could have been a stressful year turned out not bad at all. Thank you for taking care of the contractor colleague I referred to your office. He is very happy. I will keep spreading the word of your service. Thanks for your thorough e-mails and your calls. I’ve been horrible about returning your calls and yet you still got to me with the information I needed to make a decision. All I can say is “excellent job” and “excellent service.” Thanks for your help on this. You guys make things easy for me, which I appreciate. Every member of the Redel Insurance Agency has been very helpful and has gone well beyond the call of duty to assist in any matter. Thank you. Lora Ruck is my local agent and she was amazing throughout the entire process. She was available any time I needed, she was supportive and a tremendous help. She was the person that guided me and got me in touch with anyone who I needed to speak with. She frequently contacted me to update me and inquired if I needed help. She also followed up all the time to make sure everything was going smoothly. Lora truly treated me as she would a family member or good friend. I would highly recommend her to all my friends (and I will). Proudly serving Ballwin, MO, Ellisville, MO, Chesterfield, MO, St. Charles, MO, Eureka, MO, Wildwood, MO, and surrounding areas.